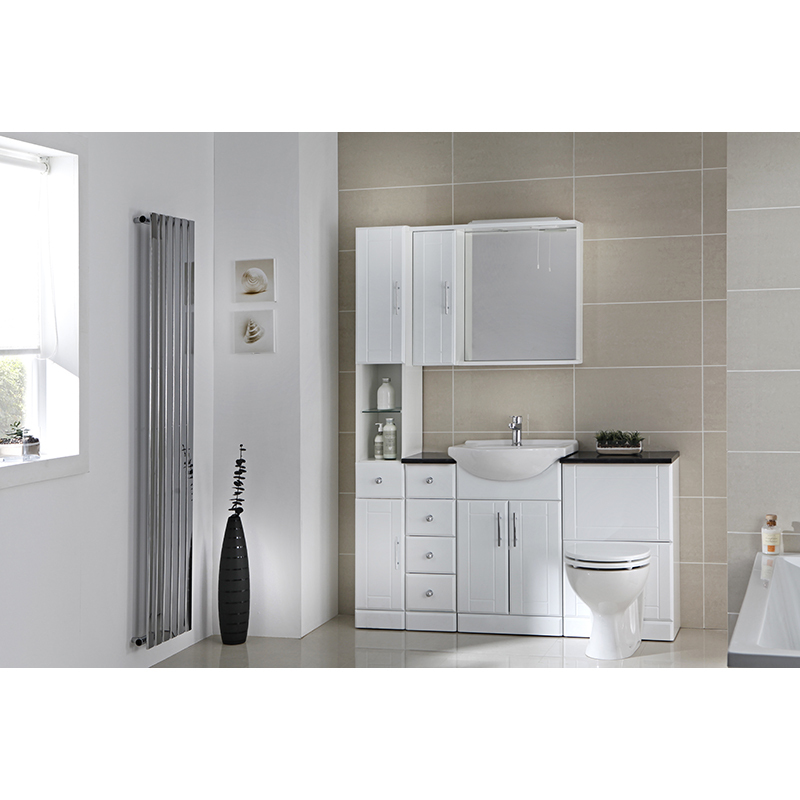 The gloss white bathroom furniture and contrasting black worktop of this Luna Atlantic Complete Bathroom Suite from Bathroom City creates a striking designer look. 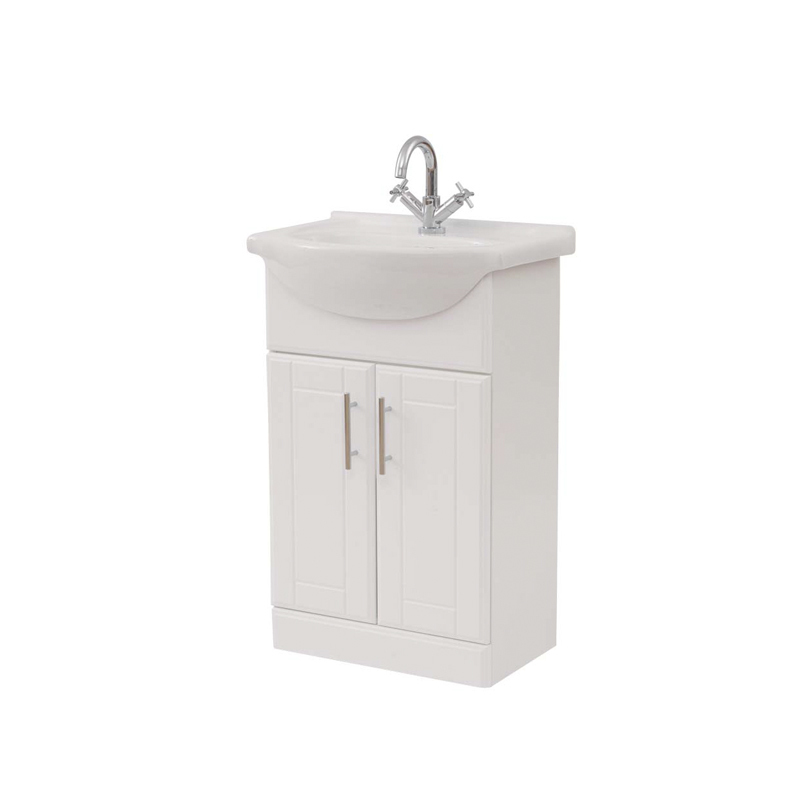 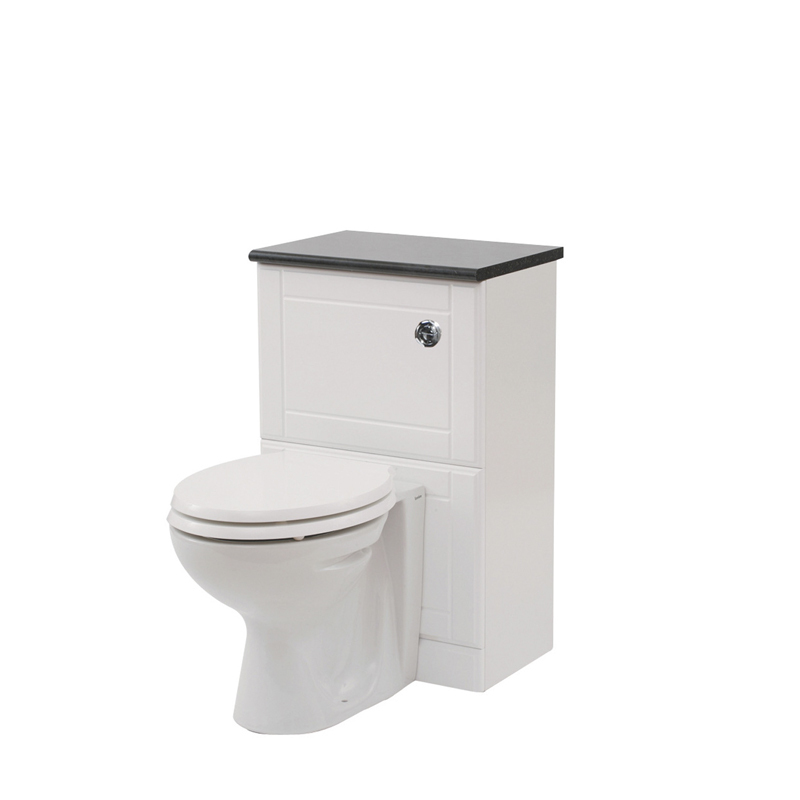 This modern suite comprises of a vanity cabinet with basin and basin mixer tap, toilet unit with cistern and soft closing seat, four drawer slimline storage unit and mirror with inbuilt storage cupboard. 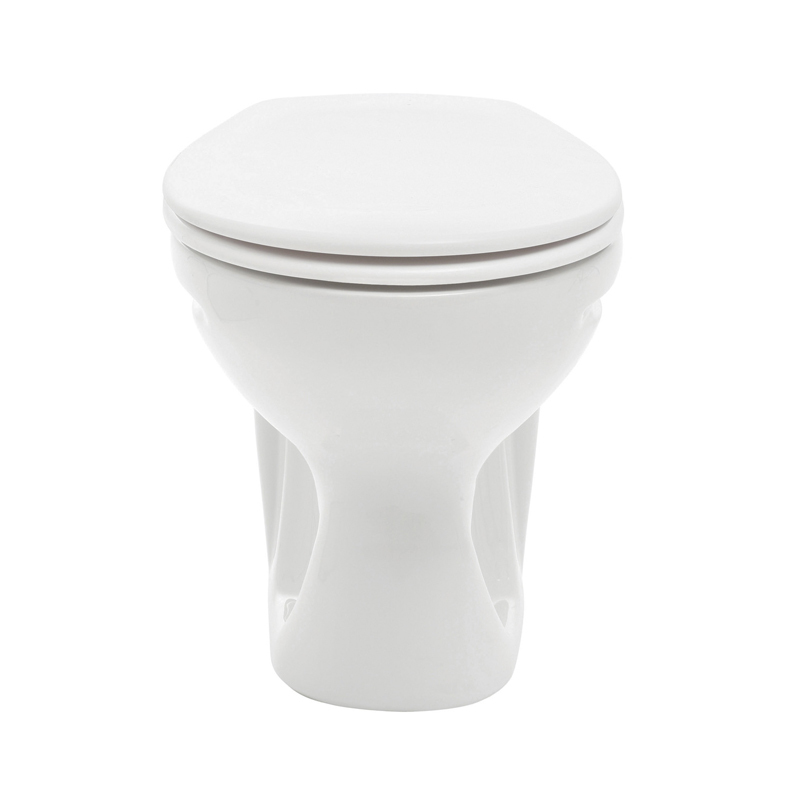 Elegantly designed and robustly constructed, this contemporary bathroom package will stand the test of time both in looks and functionality.